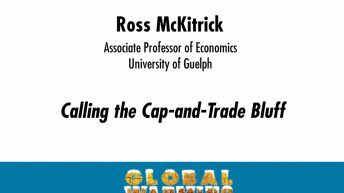 Ross McKitrick is an associate professor of economics at the University of Guelph, where he specializes in environmental economics. 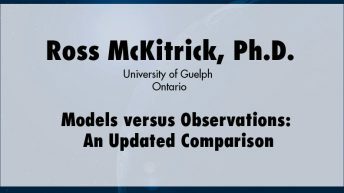 He has published dozens of peer-reviewed journal articles on a wide range of topics, including the economic theory of pollution policy, economic growth and air pollution trends, climate policy options, the measurement of temperature and climate change, and statistical methods in paleoclimatology. 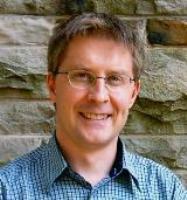 He also has published many invited book chapters, essays in print media, and technical think tank reports. 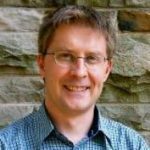 In 2003 his (coauthored) book Taken By Storm: The Troubled Science, Policy and Politics of Global Warming won the $10,000 Donner Prize for the best book on Canadian Public Policy. 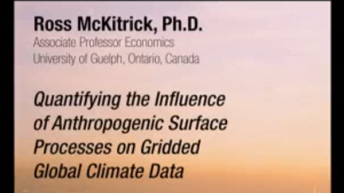 McKitrick has been cited in media around the world as an expert on climate change and the Kyoto Protocol. 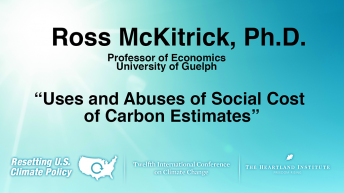 He has made invited academic presentations in Canada, the United States, and Europe, as well as professional policy briefings to the Canadian Parliamentary Finance and Environment Committees, and to government staff at the U.S. Congress and Senate. 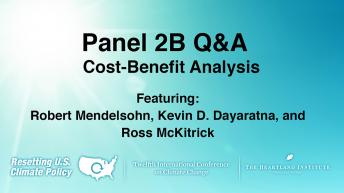 In 2006 he was one of 12 experts from around the world asked to brief a panel of the US National Academy of Sciences on paleoclimate reconstruction methodology.